The White Settlement Area Chamber of Commerce approved the posthumous appointment of Esther F. Sims as a Director Emeritus at the August meeting of the Board of Directors. 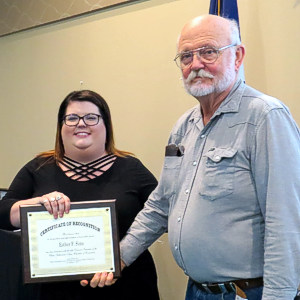 President JoAnna Kimbrell presented Carl Sims, husband of Esther F. Sims, with a plaque to commemorate Esther’s appointment as a Director Emeritus of the White Settlement Area Chamber of Commerce at our September 2018 General Meeting. Esther F. Sims had served as chamber president, director and unofficial parliamentarian during ten years of active chamber membership. Esther first participated with the chamber in May 2003 when the chamber and city participated in the groundbreaking ceremony for the Texas Civil War Museum. 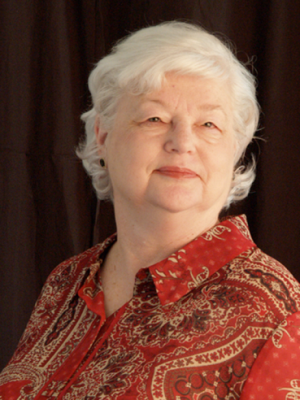 Esther later served as executive director for the museum until her retirement in July 2011.